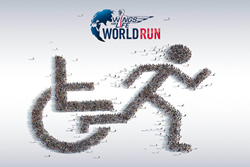 Spinlister is helping to raise awareness for The Wings For Life World Run by offering users an innovative way to raise funds and donate to a great cause. Spinlister, the world leader in peer-to-peer bicycle, ski, and snowboarding rentals, announced today they are supporting Red Bull’s foundation Wings for Life by helping to raise money and increase sign-ups for the Wings For Life World Run. Users can now list and rent gear specifically to raise money for the cause. Additionally, Spinlister will donate all fees from transactions. Wings For Life is a not-for-profit spinal cord research foundation with a mission to find a cure for spinal cord injury by funding world-class scientific research and clinical trials. On May 4th at 10AM UTC, and equivalent times across the globe, thousands of competitors will be running in the Wings For Life World Run, the first event in which the entire World will race as one. Thousands of competitors will start to run on up to forty courses worldwide with 100% of the proceeds going toward finding a cure for spinal cord injury. Spinlister believes the Wings For Life World Run is an innovative way to raise money and spread awareness for spinal cord research. From now until May 4th, Spinlister will be donating 100% of their fees to Wings for Life. “When users sign up for Spinlister they will also have the opportunity to sign up for The World Run. On top of that, our users have the option to donate what they make from listing their bikes to Wings For Life. We’re looking forward to continuing to work with Red Bull and Wings For Life in the future,” says Spinlister’s CEO Marcelo Loureiro. If you want to participate in the Wings For Life World Run or donate to Wings For Life please visit https://spinlister.com/list to list your gear and help raise funds. Launched on April 1st 2012, Spinlister is an online marketplace that allows users to rent and list bicycles, skis, and snowboards in over 100 countries worldwide. With built-in security features and a database of user reviews, Spinlister has won the trust of communities of cyclists, skiers, and snowboarders all over the globe.